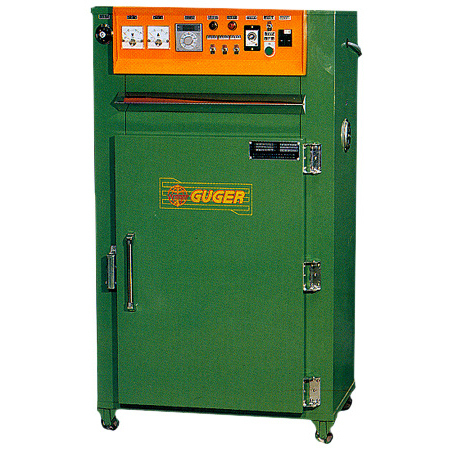 Oven (One Door)(WE-9114) - Guger Industries Co., Ltd. Suitable for any kinds of plastic, glass and metal products in high or low temperature for drying. All the controlled system via high quality components, easy operation and maintenance. Two sections of heating system to save the power consumption. The voltage, temperature and all the running system show up in the control panel. The dryer time is can be set. There is a cycle fan to make the inside temperature more be trim of the oven.